A double dose of dome-headed action. 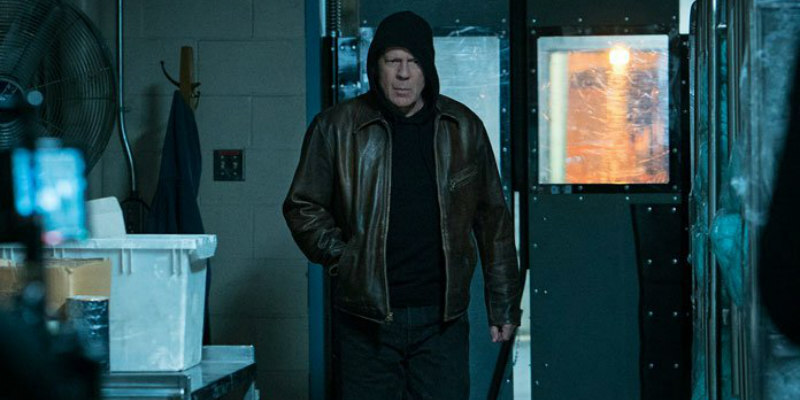 It seems like only yesterday that Eli Roth announced his Death Wish remake, but here we have the first trailer for the film, which stars Bruce Willis in the role made famous by Charles Bronson, middle class vigilante Paul Kersey. Even back in the '70s, Michael Winner's original adaptation of Brian Garfield's novel, adapted again by James Wan as Death Sentence in 2007, drew criticism for its regressive politics, and with Roth expressing his dislike of modern political correctness, expect this to stir up plenty of controversy. 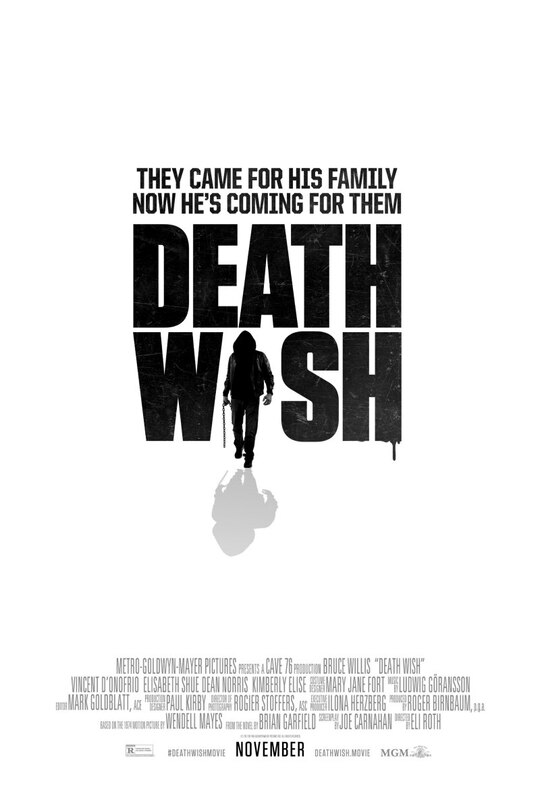 Death Wish opens in US cinemas November 22nd, but no UK/ROI release has yet been announced. Arriving on UK DVD and digital platforms September 25th is another Willis actioner - First Kill! While it remains to be seen if his Death Wish protagonist will be portrayed as a hero or a villain, he's unambiguously the latter in First Kill, playing a corrupt police chief menacing the family of Haydn Christensen's backwoods vacationing Wall Street broker. In an attempt to reconnect with his son Danny, successful Wall Street broker Will (Haydn Christensen; Star Wars Episode I: The Phantom Menace, Jumper) takes his family on a vacation to the cabin where he grew up. While Will and Danny are hunting, their trip takes a deadly turn when they witness the murder of a crooked police officer as a bank robbery goes awry. When Danny is taken hostage by the criminals, Will is forced to help them evade the police chief investigating the murder (Bruce Willis; Looper, RED) and recover the stolen money in exchange for his son's life.